HFI World Ambassadors - Site de heartforindia ! We are so honoured and happy to welcome our new World Ambassadors in the HFI Family! Let’s meet with this International Award Winning Actress! Her two women empowerment movies in the lead role were at Oscars in the 87th Academy Awards and Oscar Awards 2017 in the Best feature Film Foreign language category. She has received 25 International awards as Best Actress. She has been recognized worldwide including United Nations. Beautiful actress Rekha Rana busy doing international projects is now a very proud to become World Ambassador for Heart for Indian Foundation for the empowerment of women. Welcome Rekha in the Heart for India family! He became the world’s first Indian Michelin-starred Chef, Co-Owner of a 10-strong restaurant empire and food consultant to two of the world’s leading aviation specialists, Qatar Airways and British Airways. 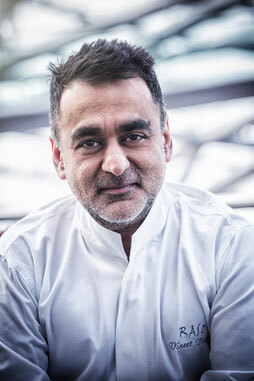 Vineet Bathia together with his amazing wife Rashima have created their own restaurant: Vineet Bhatia London. Welcome Vineet and Rashima in the Heart for India family!